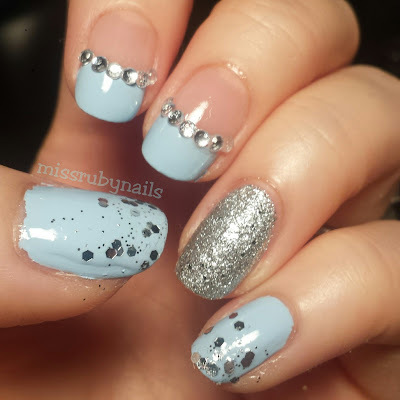 Here's a quick and simple french style manicure using baby blue and glitter. 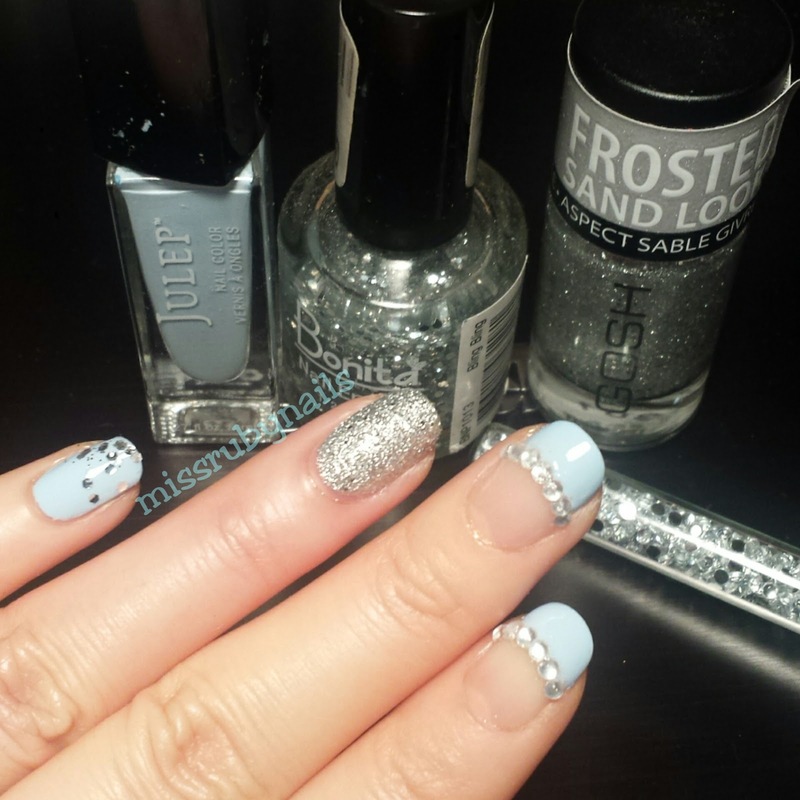 This combo can be done using any color and the result will look elegant and classy! I lined the 2nd and 3rd fingers with silver jewels along the seam line of the french tip with adds the luxury look to the whole manicure. The 4th finger was painted with a silver glittery textured polish by Gosh and I love this line of textured glitter polishes! They wear so nice considering I never use a top coat on any textured polishes.